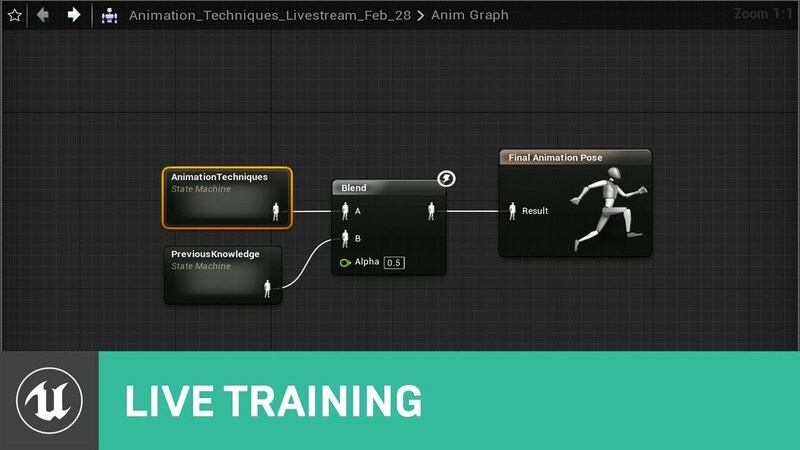 We’re fortunate to have Lead Animator Jay Hosfelt return to the livestream to share even more animation techniques! Jay will demonstrate how to add turns and jumps with the “convert to single frame animation” option, and explain a few different approaches to obtain relevant number values you need in the event graph. Last edited by VictorLerp; 03-05-2019, 02:26 PM. I am only for more animations training, but when are we going to see training about AI driving animations, not player ? I am interested if there is a way to override bone positions directly through the animation blueprint. Layered blend per bone gives inaccurate results if bones up the chain in the base animation have different positions than the montage played on top. Looking forward to this one, can we get TML studios guys to attend tho, I love Tourist Bus Simulator but every time i see the character jump and just carry on running i cringe!! Does anyone have a VOD link for the previous stream? they mention "return" to the stream so I'm just assuming there is another video I could watch now to catch up perhaps? Will they be covering the "control rig" new nodes and correct setup? this is straightforward and very useful. Question is: how do we create the "control" panel in the animations Tab with the nice clickable buttons? is it possible? There are new nodes like "Control widget picker" , "is control enabled" etc ....any documentation on how to create the display/clickable buttons in and place it in the control panel slot in the Animation TAB? Could we possibly get the project file or at least that animation? It's the livestream that Jay did with the developer of Kine, it's linked under "relevant" at the top. I also went ahead and added links to the Animation Blueprint Setup & Walkthrough series. Animation Blueprint Setup & Walkthrough Part 1 shows how you can take our 3rd Person Animation Blueprint we created for Shinbi and retarget it to other Paragon characters.